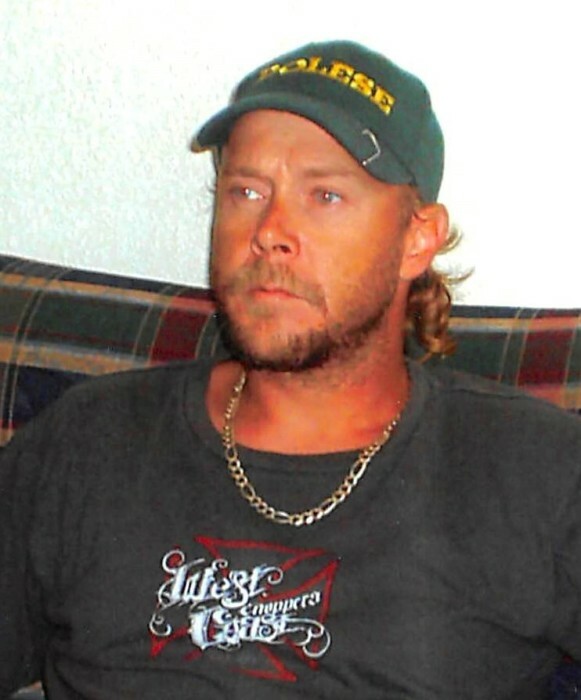 Geoffrey Dean Percy age 42, of Broken Bow, Oklahoma passed away on Thursday, April 11, 2019 at his home. He was born on June 6, 1976 in Oklahoma City, Oklahoma the son of Valee and Teresa Percy. He loved to ride motorcycles, fish and spending time with family and friends especially his grandchildren. Geoffrey was preceded in death by his mother, Teressa Brown Logan; step-dad, William Logan; cousin, Ty Brown; uncle, Charles Garrett; aunt, Glenda Wade; grandparents, Clara Davis, Pauline Simon, Arlon Brown and Val Percy. Geoffrey leaves to cherish his memory his father, Valee Percy and wife Lisa; children, Zackrey Percy and wife, Dawnielle Keck, Colten Percy; brothers, Valee Percy Jr. and Matthew Percy of Broken Bow, Oklahoma, Quentin Percy of Durant, Oklahoma; grandchildren, Brynleigh, Hadleigh; cousin, Billy Garrett and the mother of his children, Misty Carper Kelso and a host of other relatives and friends. A visitation for family and friends will be held on Sunday, April 14, 2019 from 2:00 to 7:00 P.M. at Bunch-Singleton Funeral Home Chapel in Broken Bow, Oklahoma. A Celebration of Life will be held on Monday, April 15, 2019 at 3:00 P.M. at Bunch-Singleton Funeral Chapel with Bro. Grant Hudson and Bro. Forrest Gibbs officiating. Interment will follow at Eagletown Cemetery in Eagletown, Oklahoma.